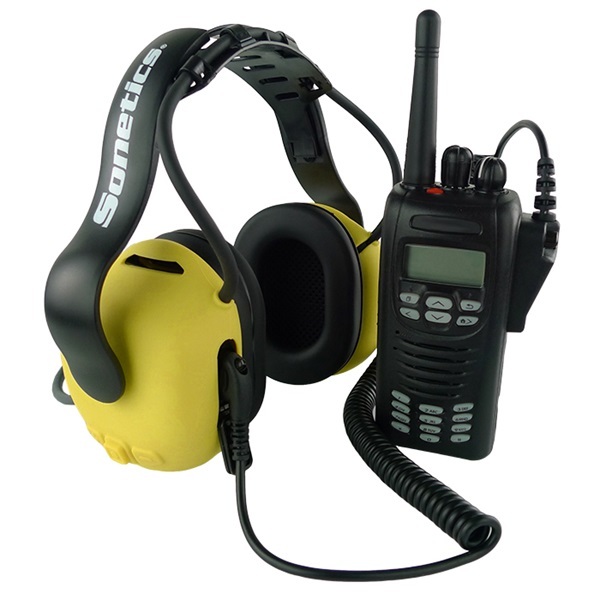 TWO-WAY RADIO TRANSMIT - Connect your portable two-way radio directly to your APX373 with a Sonetics PR Adapter cable (sold separately). Transmit using the headset’s push-to-talk button, or configure for hands-free radio VOX mode. The wired connection maintains the APX373’s watertight and dustproof ratings. MAX COMFORT – Designed to fit you with no pinching or pressure points. Cushioned ear seals and ball-pivot joints let you easily adjust the fit for maximum comfort. 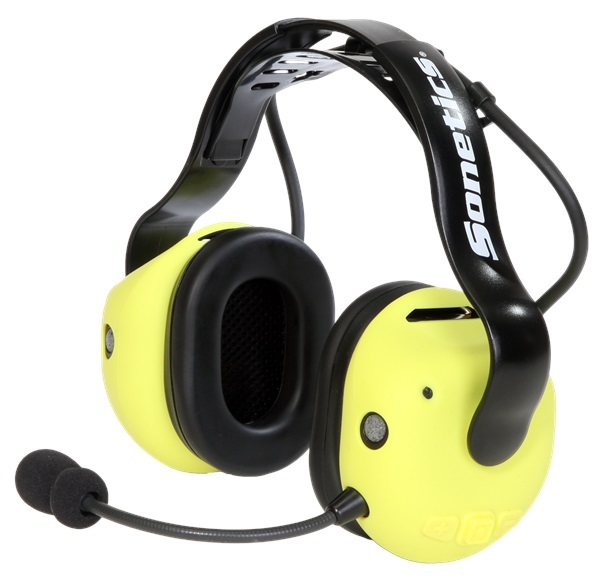 ENHANCED SAFETY – Listen-through microphones on the ear domes let you hear and control the volume of alarms, voices, equipment noise and environmental sound. KNOW YOU’RE PROTECTED – Our patented Fit Detection System measures and records sound levels inside the ear cups. A voice prompt warns as your total noise exposure approaches OSHA-mandated safety levels. Any sounds above the safety threshold of 85dB are automatically limited. Below the threshold, sounds are unaffected. CONNECT YOUR WORLD – Plug in your portable two-way-radio, cell phone or MP3 player and stay connected while you get the job done. RUGGED DURABILITY – Ready to work wherever you do, the APX373 is watertight, dustproof and performance rated between -40°F and +158°F. 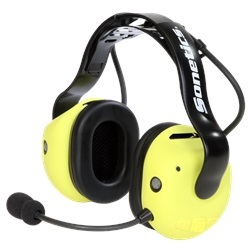 APX373 Quick Start Guide Start working with your APX373 Radio Transmit headset.